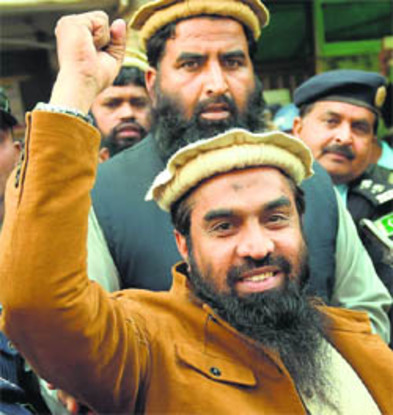 BEIJING’S move at the UN blocking action against Zaki-ur-Rehman Lakhvi, one of the masterminds of 26/11, should be read as a small piece in the larger game that China and Pakistan are playing in South Asia, particularly Jammu and Kashmir. By vetoing action against Pakistan on the release of Lakhvi, China has shown with an assertive demonstration that for it Pakistan matters more in its geo-strategic scheme of things in South Asia than even the growth of radical Islam and terrorism in its own backyard Xinjiang. It’s not that China is oblivious of dangers of terrorism, but it is playing a bigger game where it probably thinks that radicalism and terrorism would not hurt it. History is replete with the facts that terrorism doesn’t know any boundaries. If the terrorists could strike at the geographically and militarily invincible America in September 2001, they would not spare anyone. China knows it but for now sees larger gains through the China-Pakistan Economic Corridor (CEPC); hence its anxiety to please Pakistan. 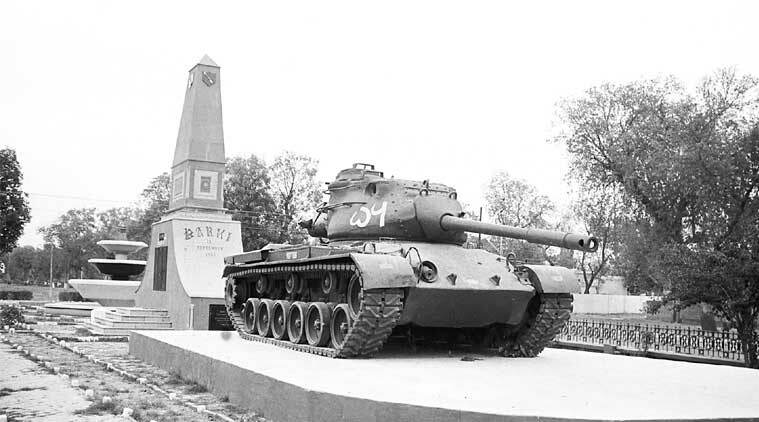 The government is reportedly making massive plans to mark the 50th anniversary of the India-Pakistan 1965 war. Details of a “carnival” that the ministry of defence has asked the three services to put up on Rajpath are still being worked out, but going by this government’s fascination for setting records, it seems safe to assume that it will put into shade any war commemoration that India has so far witnessed. Nations across the world do, in one way or another, commemorate their military victories, and honour soldiers who sacrificed their lives for their country. In May this year, the World War II Allies — the US, France, the UK, and separately Russia — marked the 70th anniversary of Germany’s surrender. The leaders constantly stressed that it was not the defeat of one country at the hands of others that was being commemorated, but the defeat of Nazism and fascism. The war ended decades of hostility between Germany and its neighbours, and could even be said to have paved the way for a European Union. In South Asia, where India and Pakistan have remained hostile, barring a few unsuccessful and shortlived attempts to make peace, a month of gung-ho events to celebrate a war fought with a neighbour 50 years ago does not seem like a good idea. The Chinese navy first showed its flag in the Indian Ocean nearly three decades ago, when it began to make ship visits to Sri Lanka and Pakistan. Reports that the docking of a Chinese submarine at Karachi last month has surprised New Delhi are distressing. 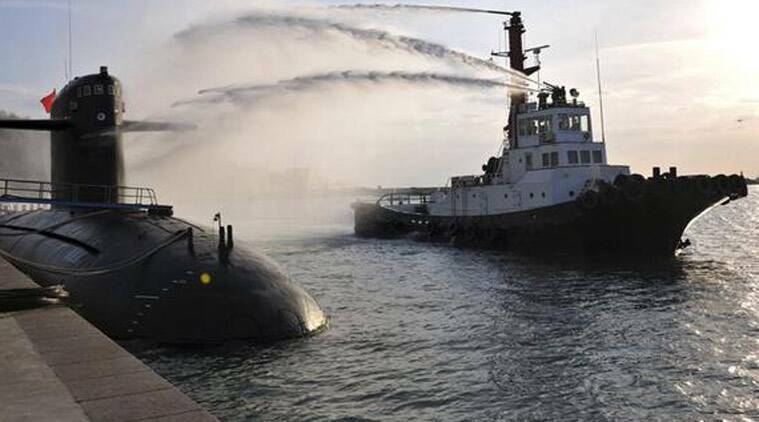 One would have thought Delhi would have anticipated the development after it sighted Chinese submarines in Sri Lanka’s waters last year. Despite the growing strategic importance of the Indian Ocean in China’s maritime strategy, Delhi’s defence bureaucracy seems to continue to wring its hands rather than act. “While Bobby Jindal defined America in the narrowest possible white, Christian frame, Barack Obama acknowledged his role and responsibility in addressing the reality of race that continues to persist in the U.S. despite progress.” Picture shows Mr. Jindal announcing his candidacy for the 2016 Presidential election. Presently, India’s defence budget – 1.74 per cent of its GDP – is too low to undertake the capacity building necessary to deter China from contemplating another border war. The defence budget needs to be increased gradually to first 2.0 and then to 3.0 per cent of the GDP. India’s growing economy should be able to sustain this hike in the defence budget over a period of three to five years, especially if the government simultaneously shows the courage to reduce wasteful subsidies. In an otherwise pragmatic budget for 2015-2016 that has been hailed as growth oriented, Finance Minister Arun Jaitley has not done enough to give the much needed boost to military modernisation. The proforma hike in the defence budget will not be adequate to make up the ‘critical hollowness’ in India’s defence preparedness pointed out by former Chief of the Army Staff, General VK Singh; nor will it help to meet the growing threats and challenges facing the country and India’s increasing responsibilities as a regional power. In April 2003, with Baghdad occupied by American troops, the top officials of the Bush administration were already dreaming of building bases in Iraq that would be garrisoned more or less in perpetuity. Everyone was too polite to call them “permanent bases,” so they were sometimes referred to by the Pentagon as “enduring camps.” Still, planning for “permanent access” to at least four giant Iraqi bases was underway, as Thom Shanker and Eric Schmitt of the New York Times reported then. These were intended to anchor a Pax Americana in the Middle East. In the months that followed President Bush’s “mission accomplished” speech, the U.S. military began constructing bases in remarkable profusion. By late 2003, Lieutenant Colonel David Holt, "tasked with facilities development" in Iraq, was quoted in an engineering magazine speaking proudly of several billion dollars already having been sunk into base construction. ("The numbers,” he said, “are staggering.") By 2005, as the country disintegrated into Sunni and Shiite insurgencies and chaos ensued, there were 105 U.S. bases in the country, ranging from tiny combat outposts to monster facilities like Balad Air Base with its own Pizza Hut, Subway, and Popeye's franchises, "an ersatz Starbucks," a 24-hour Burger King, two post exchanges, and four mess halls. By the height of the occupation, Washington had reportedly constructed a mind-boggling 505 bases without any kind of public accounting of what was being spent on them. By 2011, when the last U.S. troops slipped out of the country, every one of them (except the 506th base, the giant three-quarters-of-a-billion-dollar American Embassy that the Bush administration built in Baghdad) had been abandoned to the Iraqi military, to looters, or to the ravages of time. Why Is Washington So Reticent About Bringing Up Chinese Cyber Espionage Activities With the Chinese Government? BEIJING — For nearly a year, starting in June 2014, hackers thought to be Chinese accessed security clearance information on millions of current and past federal employees. Given the scale of that breach, you might think that combating cyberwarfare would be a top priority for U.S. officials during talks with their Chinese counterparts, including a two-day meeting that concludes Wednesday in Washington. Not necessarily so. While the U.S. side is sure to raise concerns over hacking of the Office of Personnel Management, few analysts think anything of substance will be announced this week. China denies it is behind the OPM hacking, and Obama administration officials are clearly embarrassed it happened so easily, and over such a long period. Moreover, U.S. officials have been trying to focus their cyber discussions with China on economic espionage — the stealing of trade secrets and intellectual property — as opposed to the kind of spying that both countries have been known to practice. On May 26, 2015, China’s Ministry of National Defense (MND) issued its ninth White Paper entitled ‘China’s Military Strategy’. This 9000-character (in Chinese or 6,393 words in English), 6-chapter long White Paper is the first ever to have been issued which solely discusses China’s military strategy. Reflecting Beijing’s self-confidence, the White Paper spells out China’s expanded ‘national interests’ and role envisaged for its armed forces which, it asserted, must “effectively secure China’s overseas interests”. Outlining the PLA’s role, the White Paper says “national security is more vulnerable to international and regional turmoil, terrorism, piracy, serious natural disasters and epidemics, and the security of overseas interests concerning energy and resources, strategic sea lines of communication (SLOCs), as well as institutions, personnel and assets abroad, has become an imminent issue”. Important is the White Paper’s assessment of China’s domestic security situation. Unlike in 2013, this White Paper makes specific mention of Tibet indicating the upgraded importance of the Tibet issue to the Chinese Communist Party (CCP) leadership. The toughly-worded paragraph in the White Paper emphasises that “China faces a formidable task to maintain political security and social stability. Separatist forces for “East Turkistan independence” and “Tibet independence” have inflicted serious damage, particularly with escalating violent terrorist activities by “East Turkistan independence” forces. Besides, anti-China forces have never given up their attempt to instigate a “color revolution” in this country. Consequently, China faces more challenges in terms of national security and social stability”. Earlier this month, two prominent Islamist militia leaders, Salim Derby and Nasir Atiyah al-Akar, were killed in clashes against the ISIS in Derna, Libya. One could chalk up their deaths to infighting among Islamist groups in the midst of a civil war, but the reality is far more unsettling. General Khalifa Hifter and the allies of Libya’s eastern House of Representatives (HoR) government—the one that claims to be pro-Western and internationally recognized—are deliberately allowing ISIS the necessary space and time to strengthen itself in Libya and become a real threat to Western interests. In doing so, Hifter creates a situation so dire that the United States and European countries have no choice but to recognize him and the HoR over their political opponents and thus solidify their power in Libya. Cyber warfare is an increasingly prominent aspect of the Iranian-Saudi hegemonic rivalry in the Middle East. Cyber attacks offer new revenge (e.g., 2012 attack on Saudi Aramco) and propaganda opportunities in this long running “cold war” type conflict. Following Saudi airstrikes in Yemen during late March, the Iran-Saudi cyber conflict escalated. OSINT reveals a rapid exchange of website defacements and social media account hijackings between Saudi and Iranian hackers during mid-April. This period began when pro-Saudi hackers, unusually the aggressors, attacked Fars News Agency’s website on March 31. This incident appears to have spurred pro-Iranian hackers into action as detailed below. This report is derived from open sources collected and processed at ISW during the reporting period. The report includes analysis on Iraq, Syria, ISIS, Afghanistan, Egypt and Ukraine. Key Take-away: The United States reaffirmed in the importance of NATO security structures amidst escalating threat streams in Eastern Europe, Central Asia, and Southwest Asia. U.S. Secretary of Defense Ashton Carter announced the rotational deployment of U.S. troops and pre-placement of armor to several allied NATO states in Eastern Europe amidst swiftly-escalating geopolitical tensions with Russia and indications of a renewed separatist assault in the Donbas. Meanwhile, NATO defense ministers restated their commitment to Afghanistan amidst a surge in Taliban military operations, foreign fighters, and ISIS activity. Can Japan and South Korea Do the 'Politically Impossible'? In recent years, the two countries have permitted mutual grievances to overshadow shared interests, values and geography. It's time to change that. The 50th anniversary of the normalization of Japan-ROK relations was commemorated last week with a whimper, not a bang–and that is a good thing. After years of steady deterioration, the governments in Seoul and Tokyo seem to have recognized that continuing on that path served neither country well and they are now seeking to restore the positive, forward-looking partnership that both sides claim to want. Progress is to be applauded but it will take more than modest, incremental efforts to end the cycle of rapprochement and rupture that dominates their relationship. I wandered the wastelands, desperately searching for a water chip to fix a broken machine and save my people. I spent countless hours searching the California wastes for a Garden of Eden Creation Kit so I could feed a starving community. I searched for a way to shower the D.C. wasteland in life-giving water, fought super mutants in the metro tunnels and wasted what felt like years playing the slots in New Vegas casinos while Caesar’s Legion fought the New California Republic to a bloody standstill. I know that war … war never changes. If that last line sent a shiver down your spine — either out of nostalgia or excitement — then you already know what I aim to prove — the best work of nuclear fiction ever made is a video game series called Fallout. WASHINGTON: With RBI's Raghuram Rajan ringing alarm bells about the world economy facing the Great Depression-like problems, an IMF research paper has countered his views and says monetary policy easing alone can't be blamed for triggering a financial crisis. Rajan, who himself has been IMF's Chief Economist and is among the few to have rightly predicted the financial crisis of 2007, has triggered a debate among policymakers and economists with his warning against central banks globally being pushed into "competitive monetary policy easing". In an address at the London Business School, Rajan went even further and warned that the global economy was "slowly slipping" into the Great Depression-like problems of the 1930s and the central banks need to sit together and define new "rules of the game" to find a better solution to deal with it. Rajan also said it's a problem of collective action and not a problem of industrial nations or emerging markets. As the main vehicle for developing nations to access financing to meet the multiple challenges of climate change, including transitioning to greener energy systems and building resilience against extreme weather, the GCF is an essential component of the global climate effort. Without it, Least Developed Countries (LDCs) will not be able to bear the upfront costs of combating and responding to environmental change and will continue to rely on enviromentally harmful fossil fuels. Critical at this point is not only guaranteeing that the GCF receives adequate funding, but also that it is programmatically aligned to best leverage the use of its resources. FORT MEADE, Md. — The site of an Army golf course named for US President Dwight Eisenhower, one long drive from the National Security Agency, is an active construction site, the future of US military cyber. Where there were once bunkers, greens and tees is a large gray building due to become an NSA-run 600,000-square-foot, state-of-the-art server farm, a skeletal structure that will one day house US Cyber Command's joint operations center, with plots reserved for individual Marine Corps and Navy cyber facilities. The plans reflect the growth in ambition, manpower and resources for the five-year-old US Cyber Command. One measure of this rapid expansion is the command's budget — $120 million at its inception in 2010 rising to $509 million for 2015. 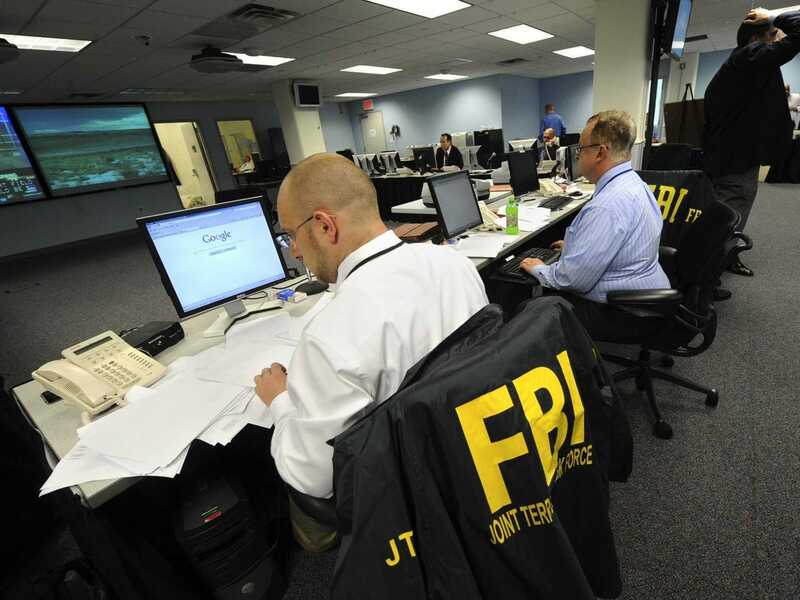 Agents from the FBI and other law enforcement agencies work at a 24-hour operations center at FBI headquarters, Monday, May 3, 2010, in the Chelsea section of New York. The center was set up to coordinate the investigation of the Times Square incident involving a vehicle loaded with explosive material. Hackers who infiltrated the Office of Personnel Management (OPM) and stole the security clearance information of more than 18 million federal employees reportedly breached FBI agents' personnel files in the process,Jeff Stein of Newsweek reports. Some FBI employees were notified in May that their files had been accessed by hackers during the massive, year-long breach of OPM's database, an FBI source told Newsweek. Why Can't We Play This Game? Jimmie Breslin borrowed a line from manager Casey Stengel to title his chronicle of the worst team in baseball history, the 1962 Mets. Stengel plaintively asked, "Can't Anybody Here Play This Game?" Given recent events, Americans could be asking the same question about their government's cyber performance. Earlier this month the Office of Personnel Management announced that someone had grabbed super user status on OPM computers, taking the records of more than four million current, former and retired government employees and, then, within a week OPM added that an attacker had been in the database of the government's far more sensitive security clearance system for almost a year. Recent estimates put the number of people affected at 18 million. We've seen breaches before, but these were particularly numbing. The massive files of American government names, social security numbers, dates and places of birth, jobs, training and benefits gives an adversary data that can be used to coerce, blackmail or recruit U.S. sources. Access to the security clearance database would disgorge even more detailed personal information, including the foreign contacts of American officials. Thank you, Colonel Brown, for your kind invitation to speak here today at this very important conference on “the roles of cyber in national defense.” I have been an international lawyer for more than thirty years, a government lawyer practicing international law for more than a decade, and the State Department’s Legal Adviser for nearly 3 ½ years. While my daily workload covers many of the bread and butter issues of international law—diplomatic immunity, the law of the sea, international humanitarian law, treaty interpretation—like many of you, I find more and more of my time is spent grappling with the question of how international law applies in cyberspace. Everyone here knows that cyberspace presents new opportunities and new challenges for the United States in every foreign policy realm, including national defense. But for international lawyers, it also presents cutting-edge issues of international law, which go to a very fundamental question: how do we apply old laws of war to new cyber-circumstances, staying faithful to enduring principles, while accounting for changing times and technologies? With headlines in the aftermath of the OPM hack asking if it was a “cyber 9/11” or an “act of war,” and Lawfare’s own Jack Goldsmith’s questioning the apparent “weak and hesitant” U.S. response to the hack, it may be helpful to take a look at a key legal resource: The U.S. Department of Defense (DoD) Law of War Manual, which, coincidently, was issued just last Friday. What follows are some initial impressions about the Manual’s cyber chapter (chapter XVI). First, a little context. The 1,220 page Manual is the end result of a nearly quarter-century effort, and one marked by almost interminable interagency squabbles. Indeed, the Manual – which is billed as the institutional view of only DoD – carefully caveats itself by saying that while other departments of the US government were consulted, it does not necessarily represent the position of the U.S. government as a whole. Still, there can be little doubt that it will constitute a very significant state-centered document that will serve as a much-needed counterpoint to nongovernmental organizations, academics, and others who have in recent years come to dominate the dialogue about the law of war. Last Tuesday, June 23, the website Wikileaks (in cooperation with Libération andMediapart) published a number of NSA-documents showing that between 2006 and 2012, NSA had been able to eavesdrop on the phone calls of three French presidents. This the first time we see actual finished intelligence reports that prove such eavesdropping, and being classified as TOP SECRET//COMINT-GAMMA they are much more sensitive than most of the documents from the Snowden-archive. Also it seems that these new Wikileaks-documents are not from Snowden, but from another source, which could be the same as the one that leaked a database record about NSA’s eavesdropping on German chancellor Merkel. Wikileaks announced that more revelations will follow this Monday. NSA intelligence report about an intercepted conversation between French president François Hollande and prime minister Jean-Marc Ayrault, May 22, 2012. Would Your Feelings Be Hurt If the Chinese Did NOT Steal Your Personal Data? In any case, in the weeks since the story broke, OPM has yet to change their story. The official number is still 4.2 million and the data that was lost is still, according to my letter, “your name, social security number, date and place of birth, and current or former address.” News outlets, however, are putting the number as high as 18 million and are reporting that the Electronic Questionnaires for Investigations Processing (EQIP) system that contains information collected on form SF-86 was compromised. That would be worse than just the loss of employee personally identifiable information. It would include information on employees and contractors as well as their friends and families. Does alleged NSA hack of Kaspersky signal new front in cyberwar? Moscow — The latest Edward Snowden revelations – an alleged hack of a prominent Russian software firm – are creating a big stir here. According to documents published by the Intercept Monday, the US National Security Agency and its British counterpart, GCHQ, targeted major Internet security firms, including Kaspersky Labs. They allegedly did so to reverse-engineer their antivirus products, enabling them to spy on protected networks. A 2008 warrant request from GCHQ published by the whistleblower site says the aims of penetrating Kaspersky's most sensitive systems might include "modifying commercially available software to enable interception, decryption … or 'reverse engineering' software” to understand how it works. CARLISLE — When it comes to cybersecurity, we're all in this together. The nation's best defense in cyberspace involves not only the military but private citizens and corporations, top security planners said here Tuesday in a closed-door meeting at the U.S. Army War College. Participants at the Carlisle event are working to break ground on a national cybersecurity strategy that would provide direction for the federal government in the event of a major computer attack, said William Waddell, director of mission command and the cyber division at the War College. What could World War III look like? If the growing spate nation-state hacks is any indication, it'll be waged by computers and over networks. In his forthcoming technothriller "Ghost Fleet," Peter Singer explores how global conflicts might play out in the 2020s. Mr. Singer, a strategist at the New America think tank in Washington, is also a consultant for the Pentagon and FBI, spoke with Passcode about his novel, due out later this month. He also cohosts "The Cybersecurity Podcast" with Passcode. Listen below to hear the latest episode featuring science fiction author and Boing Boing coeditor Cory Doctorow about how science fiction can help predict the future. Passcode: Your new novel, "Ghost Fleet," looks at what a global war in the 2020s might look like. How do digital attacks, and defenses, fit into this? Opinion: The US already has lost the first battles, and may not have the national will to defend itself in the inevitable global conflict to come. David Gewirtz looks at the geopolitical implications of cyberwarfare. Whether we're talking about social networking, financial systems, communications systems, journalism, data storage, industrial control, or even government security -- it is all part of the Internet. That makes the world a very, very dangerous place. Show me someone who publicly insists that the United States has an effective counterterrorism strategy, and I’ll show you someone who draws a paycheck from the U.S. government. Loyalty to your employer is a fine thing, especially in a press spokesman, but outside the ranks of officials in President Barack Obama’s administration, experts are far more dubious about the heavy U.S. reliance on air power and targeted strikes. “The tactical, whack-a-mole approach is not having the desired effect,” my Foreign Policy colleague Micah Zenko told the New York Times. “Not having the desired effect” was a polite circumlocution: As Zenko recently noted for FP, State Department figures show a substantial recent uptick in global terrorism. In 2014, terrorist attacks increased 39 percent over the previous year, while the number of fatalities caused by terrorist attacks went up 83 percent. GAO Report on US Government’s Program of Designating Terrorist Organizations: What Does It Accomplish? The U.S. Government Accountability Office (GAO) has just released a report on the designation of foreign terrorist organizations entitled Combating Terrorism: Foreign Terrorist Organization Designation Process and U.S. Agency Enforcement Actions. As of December 31, 2014, 59 organizations had been designated by the US Government as Foreign Terrorist Organizations, with 13 FTO designations occurring between 2012 and 2014. According to the report, U.S. agencies reported enforcing FTO designations through three key legal consequences—blocking assets, prosecuting individuals, and imposing immigration restrictions—that target FTOs, their members, and individuals that provide support to those organizations. The restrictions and penalties that agencies reported imposing vary widely. For example, as of 2013, Treasury has blocked about $22 million in assets relating to 7 of 59 designated FTOs. If a major war broke out on Earth below, what would happen aboard the International Space Station? This and a dozen other wild “what ifs” are answered in the opening pages of P.W. Singer and August Cole’s Ghost Fleet. The novel follows a spiraling cast of characters as they are engulfed by a near-future conflict in the Asia-Pacific—the one that real-life U.S. defense planners spend so much time thinking about. A hyper-aggressive, technocratic China (“The Directorate”) and a revanchist Russia join forces to attack U.S. assets in the Pacific, decimating the U.S. economy and marking an abrupt end to America’s “Pacific Century.” As the United States struggles to regroup, it must use every tool at its disposal. This includes the U.S. Navy’s “Ghost Fleet,” an armada of outmoded warships that will quickly become the core of the U.S. counteroffensive. At its head is the stealthy USS Zumwalt—and a powerful, untested new weapons system. History is full of examples of human ingenuity run amok. Weapons design is no exception. A group of Quora users sought to answer the question "What are some historical weapons that most people have never heard of?" The answers provide an amazing insight into the history of war, and offer examples of some of the most ingenious - yet impractical - weaponry ever created. We've highlighted some of the most interesting below. Developed by the U.S. for use against Japan during World War II, the bat bomb was literally that. Each bomb would contain 40 hibernating bats, each of which would be strapped with a small napalm bomb and a timer. The bombs could deploy their own parachutes, giving the bats time to fly out and look for places to roost. They would then explode, potentially burning down whatever structure they had chosen as their new home.